The initiate Rudolf Steiner calls the Gospel of St. John "the most important Christian document." Apparently the Rosicrucian community has thought so too. Since the 14th century it has endeavored to bring to light the deepest truths of Christianity and has called its members Johannine Christians. They were so called for two reasons. First, in the Gospel of St. John, two parallel and related truths are revealed. A mystical-spiritual event, the birth of a higher Ego in the individual, corresponds to what occurred in history for all mankind in the event of Palestine through Christ Jesus. 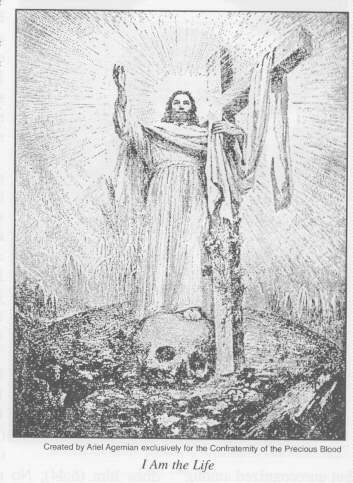 Second, Johannine Christians, the Rosicrucian Brothers, whose symbol was the Rose Cross, representing the mystery of the reborn God, knew that the writer of John's Gospel was the first human to be initiated by Christ Jesus, to be raised from the death of mortal-ego consciousness. They knew that Lazarus was Christed and renamed John, and that John was subsequently embodied in the 14th century as the Founder of the Brotherhood of the Rose Cross, Christian Rosenkreuz. 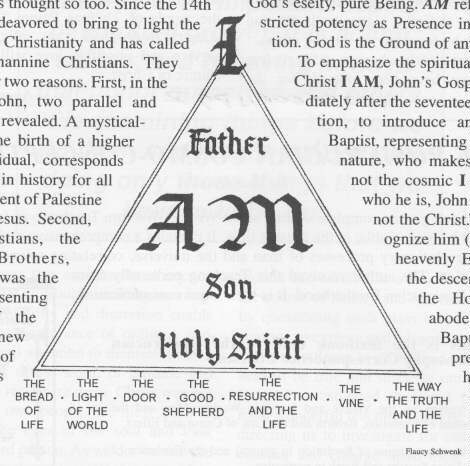 St. John's Gospel, the New Testament's most esoteric account of the life of Christ Jesus, alone elaborates and meditates on the three Persons of God: the Spirit of Truth or Comforter, the I AM or Christ Logos, and the Father. Only in John is the I AM nature of Christ explored. I denominates God's eseity, pure Being. AM reflects God's unrestricted potency as Presence in holy Self-cognition. God is the Ground of any and all being. To emphasize the spiritual sublimity of the Christ I AM, John's Gospel begins, immediately after the seventeen-verse introduction, to introduce another John, the Baptist, representing the purged desire nature, who makes clear that he is not the cosmic I incarnate. Asked who he is, John confessed, "I am not the Christ." Nor did he recognize him ("I knew him [the heavenly Ego] not") but by the descent (like a dove) of the Holy Spirit, who abode upon him. The Baptist, as Christ's precurser, instructs his disciples to prepare the way in themselves by changing their minds. The Greek word metanoia does not, as normally piously translated, mean to repent (punish oneself), but to change (meta) the mind (nous), or the way one thinks, to transform selfish or egotistic thinking. The personal ego must decrease and the objective Christ Ego must increase. What is this Christ Ego? It is, the I AM is, the water of eternal life (4:10-14), the life spirit. While the Jews, with genealogical pride, called Abraham their father, Christ called God His Father (5:17-18), to the Jews a blasphemy. But this pure Ego does nothing of Itself; the Father, He doeth the works. The personal ego does everything of itself; that is, it thinks it does. It is this erroneous thinking that needs changing, metanoia. The personal self bears witness of itself. Such is the role of this self-appointed god. But "If I bear witness of myself, my witness is not true" (5:31). But the Father, the divine spirit, bears witness to the Christ Ego as the only begotten, Whose will is the Father's. Paraphrasing Christ's words: He that speaks of himself seeks his own glory, but when the chastened and humbled personal self seeks the glory of the divine Self that sent him, then is he true-a messenger, a gospel bearer. The personal ego speaks of the earth and is earthly. The Christ(ed) Ego cometh from heaven and is above all. 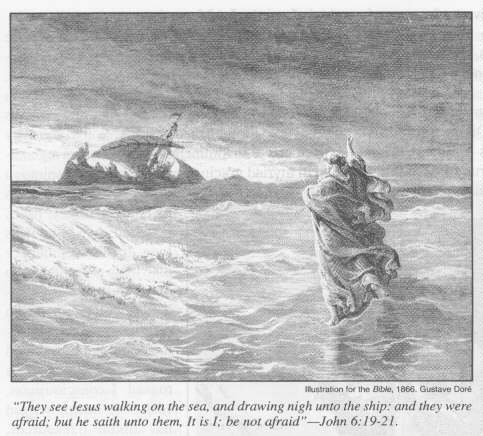 While His disciples foundered at night on the Sea of Galilee, as the boat of their soul bodies was tossed by the waves of emotion in the desire world, Christ walked on the water toward them, in command of the forces of that realm, and they were doubly afraid. 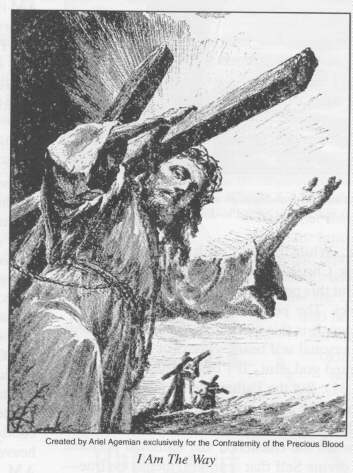 But He comforted their souls, "It is I; be not afraid" (6:20): The impersonal I can and does quiet the emotional tempest that constantly threatens to capsize and inundate the unseaworthy personal ego. The Christ Self is available to each. It is the bread of life (6:35), the living bread, the spiritual substance which comes down from heaven and truly and literally gives life to the material world, which alone is but an aggregate of inert, unordered atoms. It is the Spirit that quickeneth, the flesh profiteth nothing. 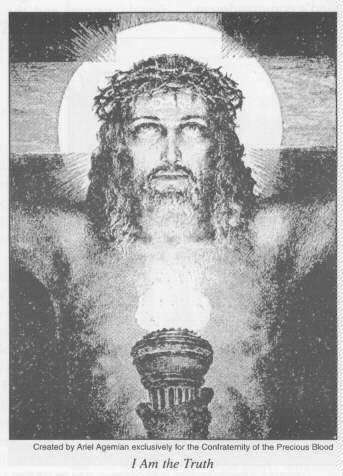 The Christ Self is the light of the world (8:12), the light of truth, the light that lights each soul that takes on a physical body. The I AM is eternal. Before Abraham, before Adam was, was the cosmic I AM, was Christ, the root and spiritual substance of all individual I AMs. Before the foundation of the world, before ego was, was the Christ I, resplendent in glory with the Father (17:5, 24).